A new report from KLAS surveyed more than 100 various-sized providers for insights about how they're relying on technology to help them manage the opioid crisis in their communities. Electronic health records are a basic but critical tool in the fight, and expectations on vendors are high, the study shows. The opioid epidemic is affecting every state, but Rather than ranking IT vendors based on the assessments of healthcare decision-makers, as it usually does, KLAS says it was more interested in learning about the strategies provider organizations nationwide are putting to work to improve their opioid stewardship. Having become a valuable if not indispensable technology for quality care delivery, EHRs are a go-to first choice for health systems seeking ways to manage the appropriate dispensation of these drugs, according to the report. More generally, they're looking for EHRs that link directly to state prescription drug monitoring programs and offer opioid-specific decision support and toolsets that work within clinical workflows, KLAS shows – noting that those organizations across the U.S. that have managed PDMP integration have seen improved ability to spot at-risk patients. Still, more than 90 percent of the organizations in the KLAS report are relying on non-integrated, best-of-breed tools – even if some of the more advanced of these are pushing their primary EHR vendor to bring the new enhancements needed to prevent risky opioid prescriptions and treat misuse. For those who don't have those functionalities yet, most have "high expectations" their vendors will "deliver within the next year." Wherever they are with their technology set-up, hospitals and practices are expecting their EHR vendors to "step up and partner with them to help solve the opioid crisis," according to KLAS, which notes that the EHR's centrality within any organization's IT instructure makes it a the ideal tool to help physicians manage opioid stewardship within their usual workflows. Indeed, "relatively few opioid-specific solutions are currently adopted and live," the report notes. "Epic and Cerner are among the most-often-mentioned vendors who are currently in use, and their customers’ expectations for integrated solutions that help identify, monitor, and prevent opioid misuse throughout a health system have been met with varied levels of fulfilment." While the EHR is essentially a transactional technology that's akin to a basic utility these days, providers reliance on it is in keeping with the fact that two-thirds of the organizations polled by KLAS call themselves "novices" or "beginners" in opioid stewardship, the report says. 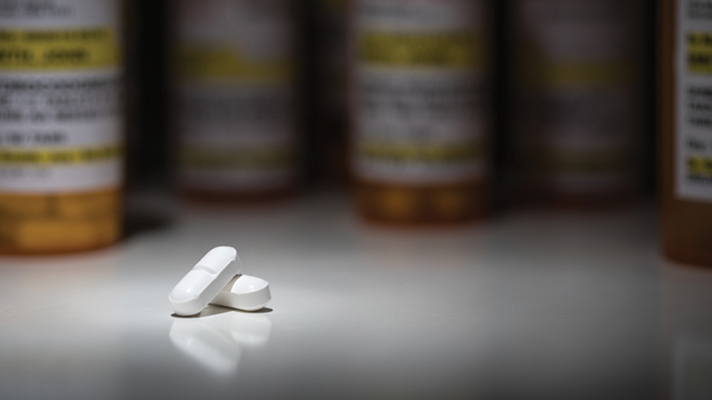 "Advanced organizations report that a multifaceted approach – consisting of internal rules, technology partners, alternative treatment options, EPCS and proper legislation – is necessary for effective opioid stewardship," according to the report. "Organizations that take such an approach have realized gains in their fight against opioid misuse."